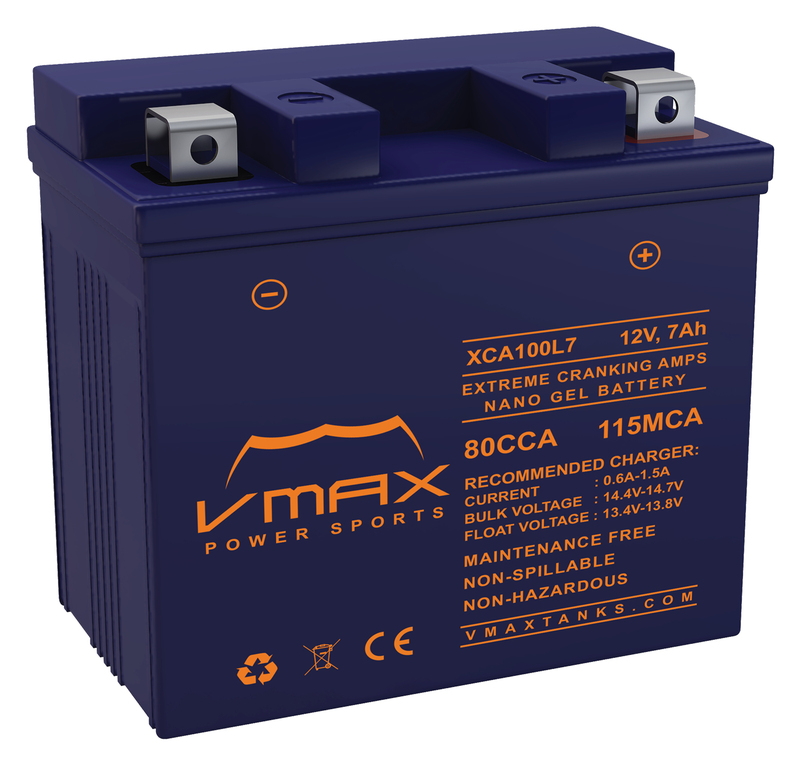 VMAX XCA power sports series utilizes state of the art Nano-Gel Technology making this best match for their application. Most ideal for use on rough terrains, bumpy surfaces and extreme temperatures. 30-50% Lower Self Discharge Rate. Two to Three times Longer Storage Capabilities (12months compared to 4-6 months). AC Chargers: Any Quality Brand GEL/AGM- Smart & Microprocessor controlled- charger with the recommended specs above can be used.